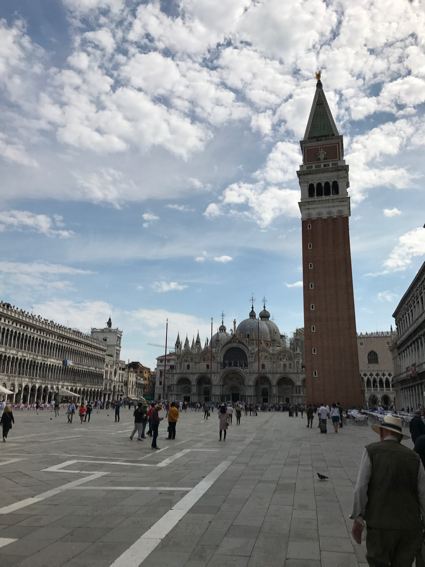 Morning walk to the heart of Venice – St. Mark’s Basilica | Who Da Thunk? 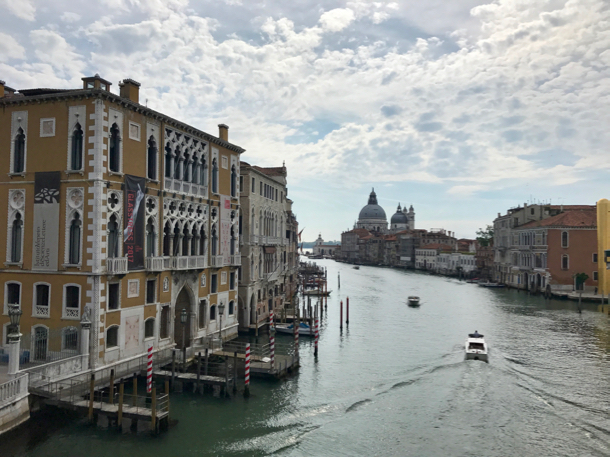 The Adventurers knew they’d have an afternoon on the water, so choose a morning on foot, walking from their hotel to what’s probably the heart of Venice, St. Mark’s Basilica and the square surrounding it. The closer they got, the tonier the shops got, and the more they could be found in any big city around the world. That made them even happier to be at a hotel in what felt like at least a littler more like a real neighbor, Dorsoduro. Because they were early, they did stand in the short line to see the inside of the Basilica. It did look different than many of the other churches in western Europe, but the crowds made it impossible to feel they were in a sacred space. This entry was posted in Venice & Croatia 2017 and tagged Grand Canal Venice, St Mark's Venice. Bookmark the permalink.